Sales Pilot takes the sales process to the 21st century. All the information and folders a sales agent had to carry around in his suitcase is now available right at his or her fingertips. 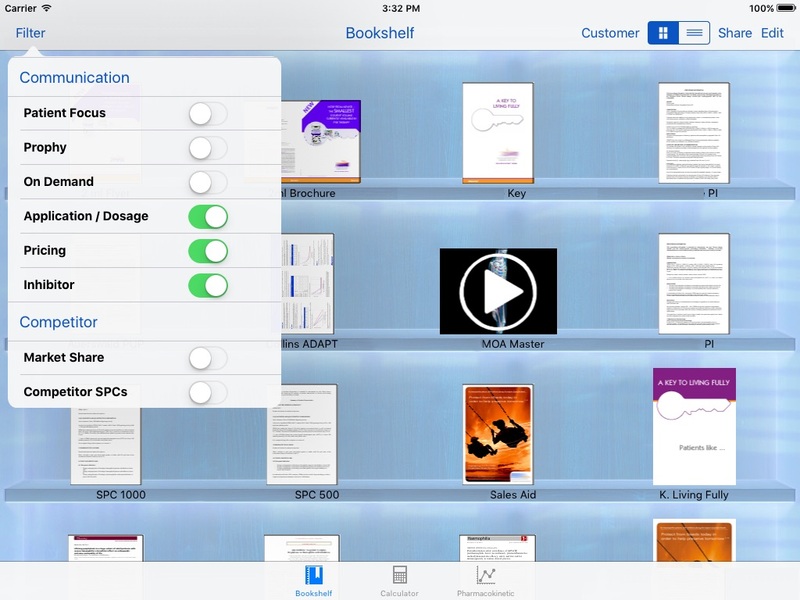 But Sales Pilot is much more than just a collection of your digitalized sales material. With interactive sales stories, customers are involved in the talk and pay more attention to the subject. Dust off your sales process! With the positive experience from using BioSurgery as a sales tool, Sales Pilot was designed and built to achieve similar goals for a different range of products. Again, it was necessary to curate and manage a vast amount of sales materials like documents and videos. A powerful filter and the possibility to build specific content selections for different customers and meetings were essential features. More important, however, was the goal to integrate the customer into the sales talk. To achieve this, interactive scenarios have been implemented, similar in spirit to a slideshow presentation, but with a number of interactive tasks that offer opportunities to include the customer. 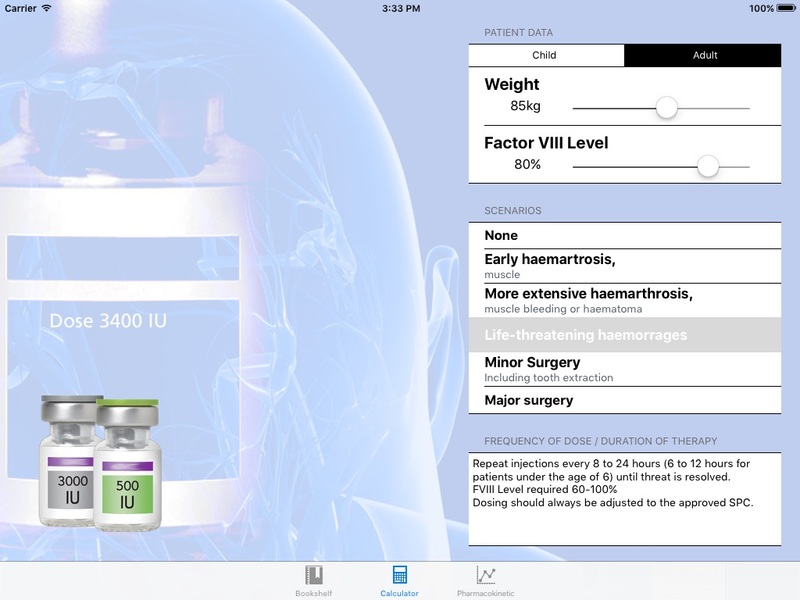 To round off the feature-set, the app also contains a dosage calculator and a pharmacokinetic calculator. SalesPilot is used internationally company-internally and is localized into several languages.